Fly to Paro, Bhutan, on Druk Air, the national airline of Bhutan. If you get a seat on the left side of the plane and if weather permits, you may have spectacular views of the high peaks of the Himalayas. 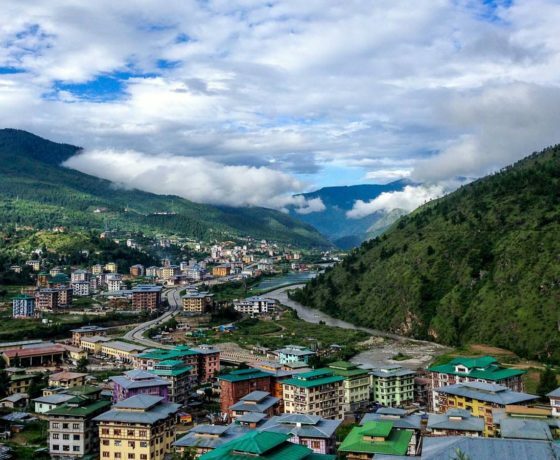 After visa formalities at the Paro airport (7,590′), you are met by our Bhutanese guide and transferred to your hotel in Paro to provide you some rest. 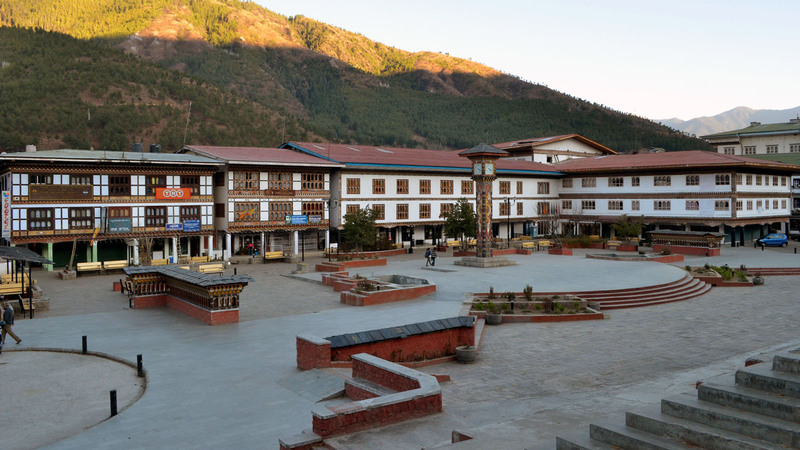 Later, in the evening your guide will take you to a tiny Paro town for orientation with the place and people. Overnight at hotel/resort. This morning a scenic drive of 1 & ½ hr will bring us to Chele La pass at an altitude of aprrox. 3900m/1300ft. On one side is the Paro and on the other side is Haa valley . The hike of this morning begins from a short descent below the pass. It is about a half hour uphill and shorter coming down hill. The hike brings you to a clusters of shelters built on sheer cliffs, under the rock/cave and a temple that houses some 50 or so nuns. 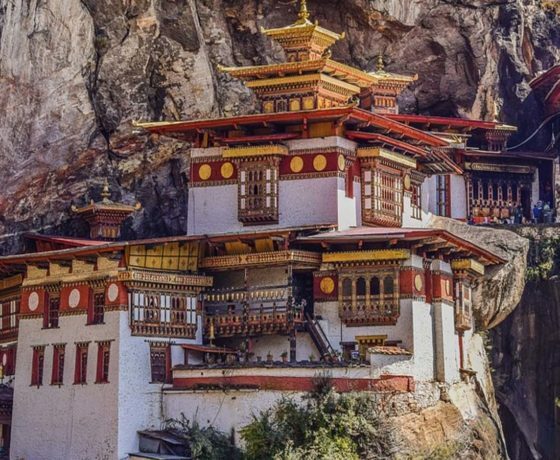 On your way back to Paro, we will stop at a place for the hike to a monastery called Dzondrakha which looks similar to famous Tiger’s Nest monastery but located at shorter hiking distance. Half the walk will be along the agricultural field and very easy, another half will be an uphill climb and when both versions of hikes are summed up it will take less than 1 hour to reach at the top where the monastery stands. On reaching the site of the monastery, one would enjoy the view of the fertile Paro valley below. Your guide will take you inside the main temple of the monastery. Arrive in Paro and visit a typical Bhutanese village home. This visit will certainly provide you an insight on living style of Bhutanese villagers. Certain cooking demonstration will be performed for you to get idea on how Bhutanese delicacies like BUTTER TEA and EMA DATSI is prepared. Drive back to your hotel in the evening. Your hike this morning is to site of Taktsang Monastery (meaning Tiger’s nest), tragically wrecked in a fire of early 1998. 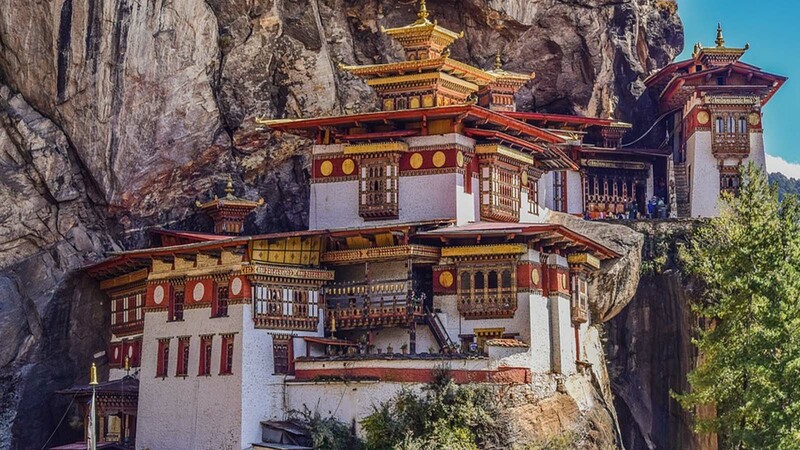 The monastery, which has now been rebuilt, is perched some 2,000ft/600m up on a sheer cliff overlooking the valley and was said to be where the legendary Indian saint, Guru Padmasambhava, flew from Tibet on the back of a tiger to defeat five demons, who were opposing the spread of Buddhism in Bhutan. The hike is about 1 & 1/2 hours to the teahouse, from where you may either opt to go further uphill to the monastery for about 1 hour. Lunch is served at the tea house with the majestic views of Taktsang above and the Paro valley at the bottom. The return trek to the road head is downhill and takes about a little more the time it has taken you to come up. Afternoon visit Bhutan’s national museum, a fascinating place housed in an old watchtower above the huge Paro Dzong. 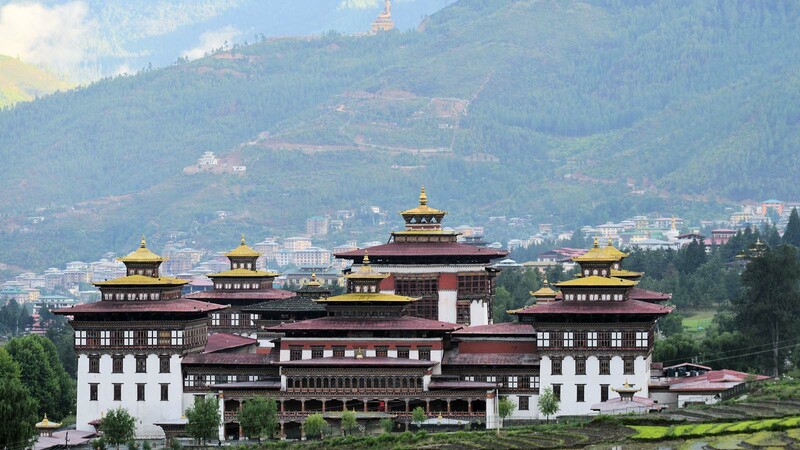 You will also visit Rinphung Dzong (a dzong is a fortress-monastery). 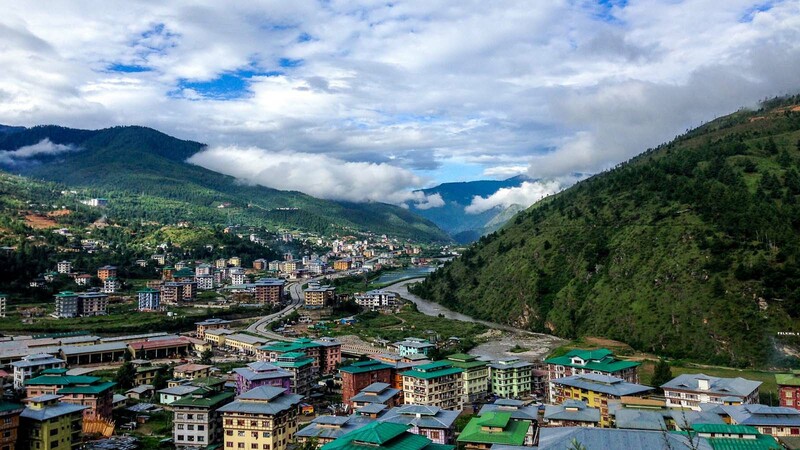 Early morning drive to the least visited of all the Himalayan capitals (1 hour) Thimphu and drive to Tashicho Dzong lawn where Thimphu Tsechu (festival) will be held. 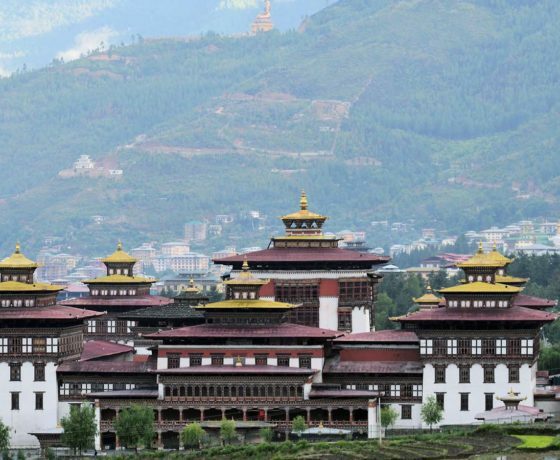 At the same time take a tour of the mighty Tashicho Dzong, a seat of Bhutan’s administrative and religious centre. 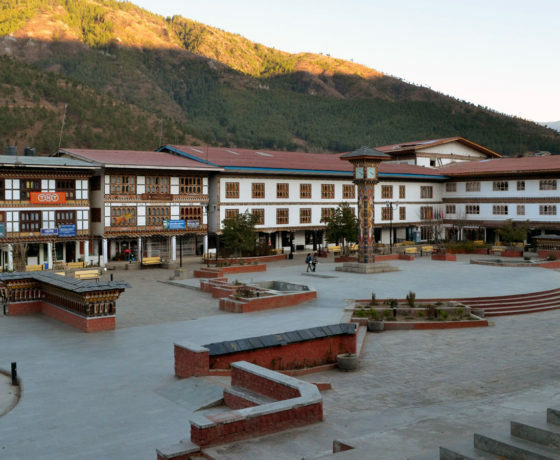 Afternoon in Thimphu, start sightseeing with visit the Heritage Museum, Changgangkha Lhakhang (temple), Traditional Hospital and see how paper is made from the daphne plant with cosmos flower petals and other plants. Optional – Early in the morning, you can take a self-guided ten-minute walk from the hotel to the Memorial Chorten, a shrine built in the memory of the late king, Jigme Dorji Wangchuk. Many Bhutanese people gather here to pray every day. After breakfast, we will drive towards northern end of the valley for about 20 minutes to get started for an exciting walk to CHERI GOMPA (monastery). 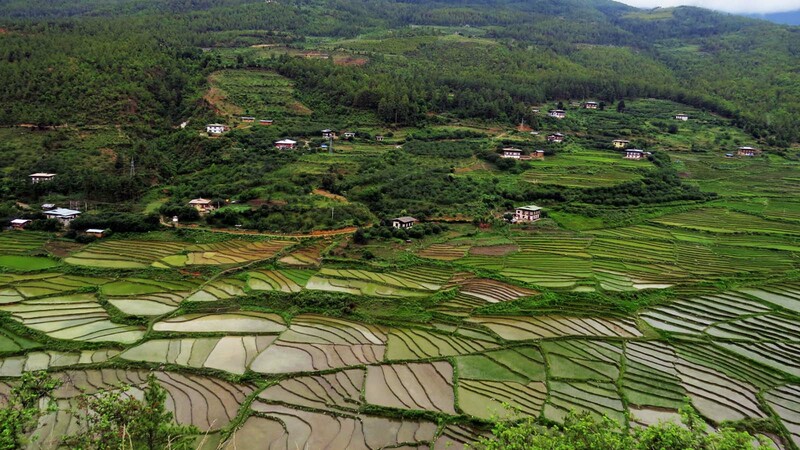 This is a pleasant rural walk, gently up a valley through paddy fields and woodland via a Tibetan village. The walk commences at the junction just before the village of Dechencholing . Walk through the village along the track to Pangri Zampa gompa, by the river. The route passes Tibetan village, through paddy fields, past chortens and the village of Choku to Begana (also known as Dodena). From Dodena, after crossing the cantilevered bridge, it is another 30-45 minutes steep climb up hill. 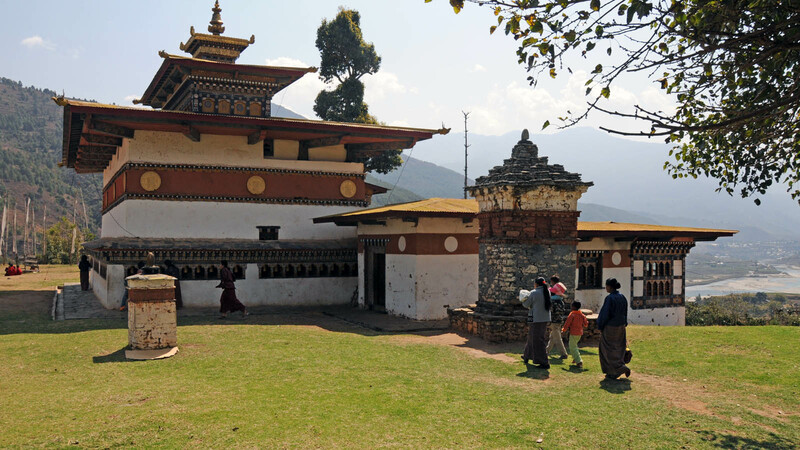 Cheri Dorji Dhen was first built in 1620 by Shabdrung, the first ruler of Bhutan, who also established the first order of monks here. It is usually possible to enter Cheri courtyard, but may not be allowed to visit the shrines inside. Descend to the bottom of the hill, where your transport arrives to take you back to Thimphu. Morning visit the memorial chorten, changangkha lhakhang, The school of arts and crafts, national library, the view point, takin preserve, handicraft emporiums and local handicrafts stores. In the morning you drive to Punakha, an old winter capital of Bhutan. En-route stop at Dochu LaPass, 10,000ft/3,048m to view the eastern Himalayas, including Bhutan’s highest mountain, Gangkar Punsum, 24,770ft/7,550m. 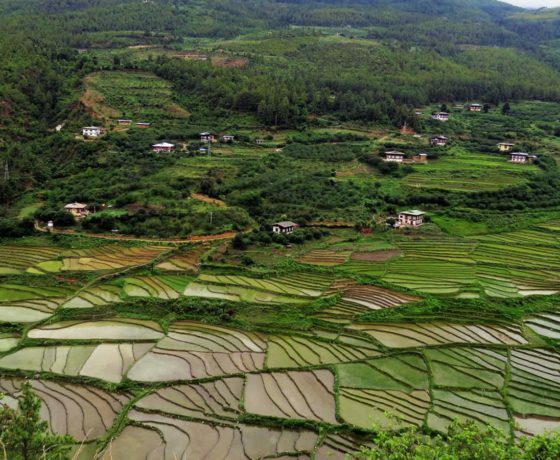 The road then drops down through varied –ever changing forest, finally emerging into the highly cultivated Punakha valley. 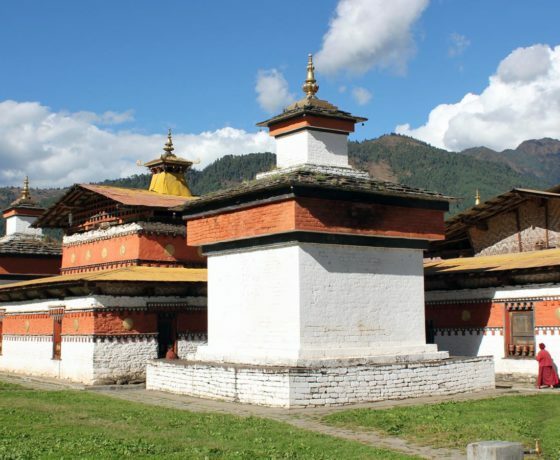 In the afternoon you will make a short trek to visit the Crown Prince’s chorten and nearby villages. 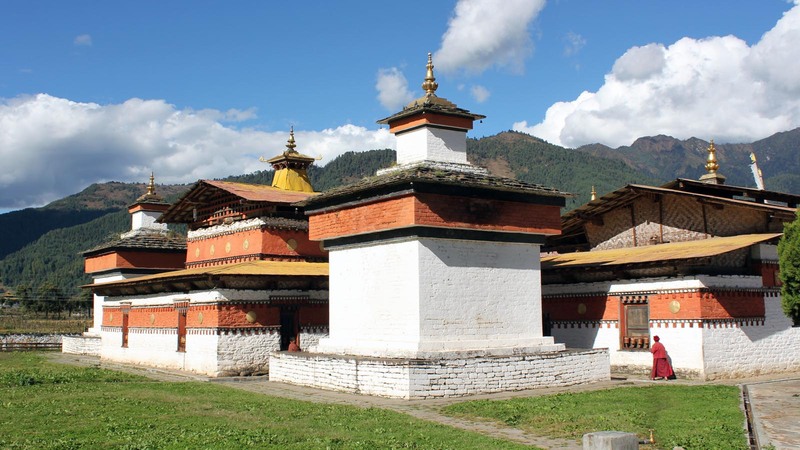 You return on a different route through the village to Sonagasa (the King’s winter residence) and through to Punakha Dzong, following the Mo chu river. 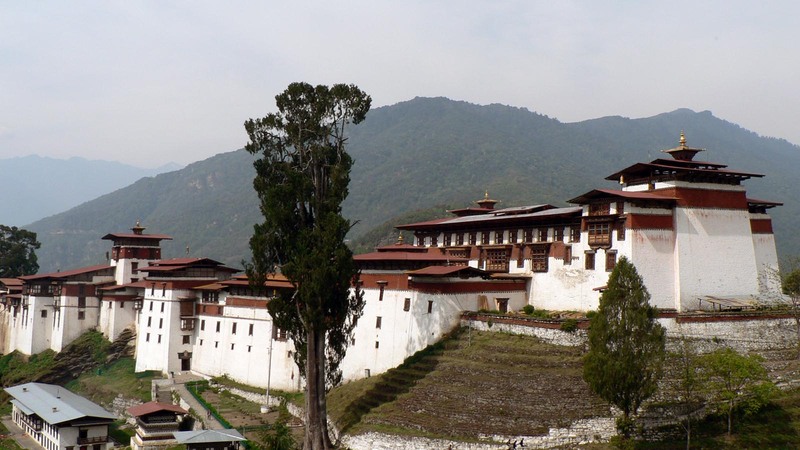 You will meet the vehicle and visit huge impressive Punakha Dzong. Total drive of about 3 hours. Overnight at hotel. After lunch, you drive across the Yotong La 11,234’and descend eventually into the valley of Chumey, the first of four Bumthang valleys. Here we will visit the Palace used primary by the second King as his summer residence, and hike for about 15 minutes that brings us to the Prakar monastery, followed by visit to Yathra Weaving centers (a Colourful wool weaving). 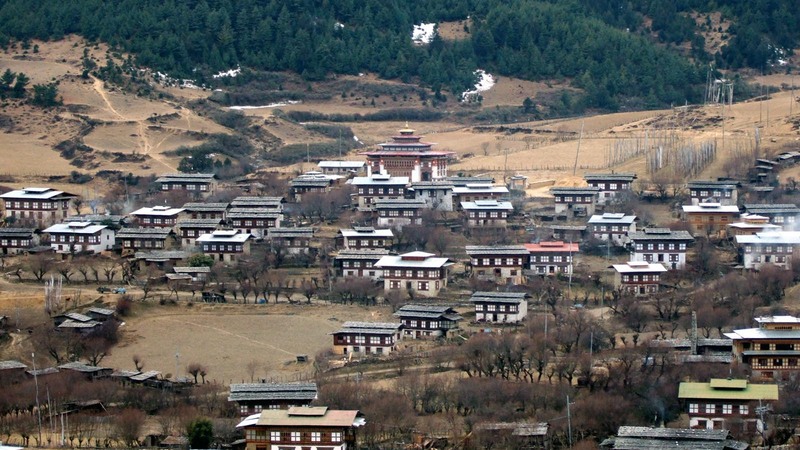 Then we’ll drive onto the Jakar the center of Bumthang valleys. 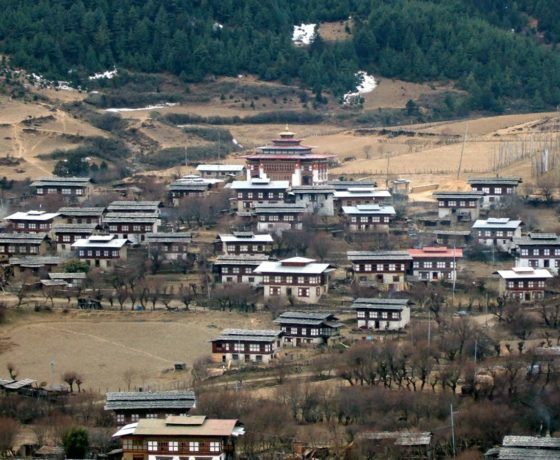 Bumthang valley is one of the most sacred in the kingdom and innumerable legends surround the area. It is here that the kings were cremated and the present royal families trace their ancestry back to a famous saint called Pemalingpa, who was also a smith in Jakar Township. Total drive of about 2 & ½ hours. Overnight at Guest House/Lodge, Jakar. After breakfast start the walk from the hotel to Jambay Lhakang (Lhakhang means temple) and continue to Kurjey Lhakang. After Kurjey, you will cross the suspension bridge over to Tamshing Lhakang. Continue walking to the Swiss farm and then on to the main town area. The vehicle will meet you at this point and drive you to visit other sights in and around Jakar; which may include homeopathic hospital, the cheese factory, the castle of the ‘White Bird’, perhaps one or two local temples and a walk around to visit woodcraft workshop, dying workshop, and the five water wheels behind Wangdicholing Old Palace. Overnight at Lodge, Jakar. Total drive of about 7 hours. Overnight at hotel Y T, Punakha. 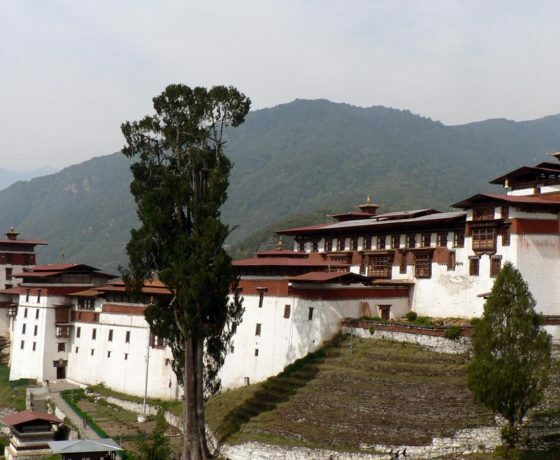 You will drive past Wandgue town and Dzong along the east west high way. 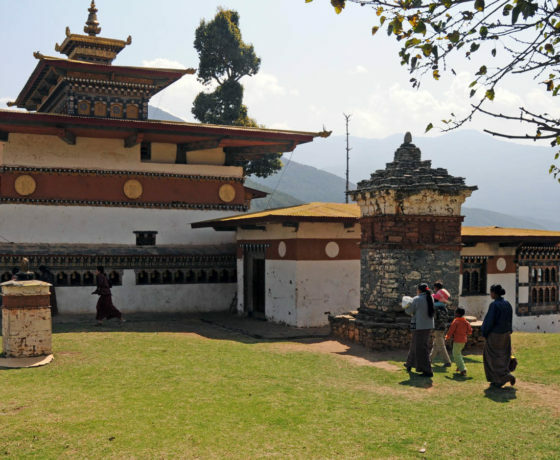 On reaching at a junction called Lobesa, you will take a diversion and drive towards the valley of Punakha to visit a ‘temple of fertility’ or ‘Chimi Lhakhang’. Total drive of about 5 hours. Overnight at Tenzinling Resort.